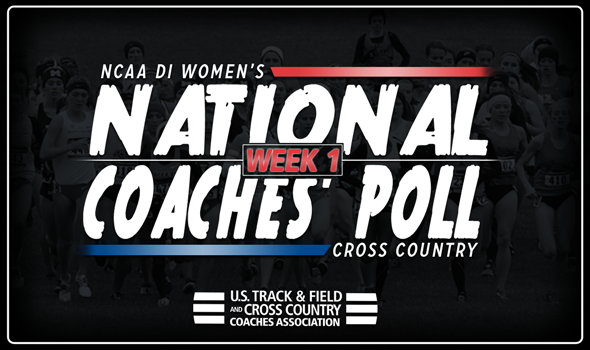 NEW ORLEANS – Two weekends chock full of action have come and gone, but little has changed atop the first week of the NCAA Division I Women’s National Cross Country Coaches’ Poll, announced by the U.S. Track & Field and Cross Country Coaches Association (USTFCCCA) on Tuesday. Colorado and Oregon held on tight to their top-two spots in the rankings for the second-consecutive poll, but New Mexico leapfrogged Michigan for third place, causing the Buffaloes and Ducks to keep a close eye on a hungry Lobo squad. Colorado kicked off the 2017 campaign with a victory at the Colorado State Invitational two weeks ago, with Brianna Schwartz and Madie Boreman both finishing in the top-10 with identical times of 17:37. The Ducks, however, haven’t had the opportunity to compete yet on the season due to the wildfires that have plagued the Pacific Northwest over the last few weeks. Colorado captured eight of the 12 first-place votes, while Oregon notched three. The remaining first-place vote was doled out to New Mexico, who turned in a stellar performance at their very own Lobo Invitational. Transfer Elizabeth Weiler was the second collegiate finisher in the 5K with a time of 17:36.20, followed by Sarah Laverty (17:43.90 – third), Sophie Eckel (18:29.80 – fourth) and Kieran Casey (18:48.40 – sixth). Stanford rounded out the top-five on the week. San Francisco is the only other team in the top-10 that made any kind of improvement, as the Dons jumped to eighth after coming in at 10th in the preseason poll. Winning the San Francisco Invitational behind top-four finishes from Weronika Pyzik, Isabelle Brauer, Elizabeth Bird and Lea Meyer, respectively, the Dons knocked Notre Dame (ninth) and BYU (10th) down a spot. N.C. State (sixth) and Providence (seventh) also remained in the top-10. New to the poll on the week was Indiana (26th), Furman (29th) and Utah State (30th). The ranking for the Hoosiers is the highest the program has been since coming in at 21st during the fifth week of the 2013 campaign. A lot will happen between now and the 2017 NCAA Division I Cross Country Championships on Nov. 18 at Louisville’s E.P. “Tom” Sawyer State Park. Check back at www.ustfccca.org for updates throughout the season.